Winship Cancer Institute medical oncologist Taofeek Owonikoko, MD, PhD is one of 13 recipients of the 2016 National Cancer Institute (NCI) Cancer Clinical Investigator Team Leadership Award (CCITLA). The award recognizes and supports outstanding mid-career clinical investigators at NCI-designated cancer centers who are working to improve the lives of people with cancer. Each award recipient is involved in NCI-funded collaborative clinical trials. The award provides partial salary support for two years for the awardee to engage in activities and efforts related to the award. 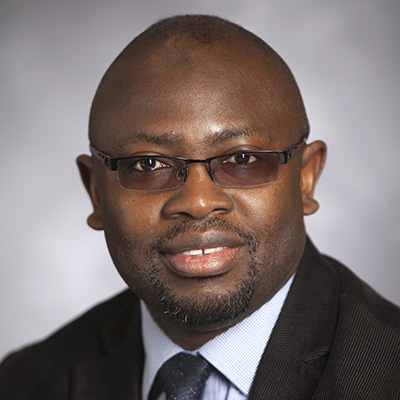 Owonikoko, an associate professor in the Department of Hematology and Medical Oncology, is board certified and specializes in lung cancer, thyroid cancer and other cancers of the aerodigestive tract. Owonikoko was recognized at the NCI Clinical Trials and Translational Research Advisory Committee (CTAC) meeting held on July 13. "Taofeek is highly deserving of this recognition and has made extraordinary contributions to our fight against cancer during his time at Winship," says Walter J. Curran, Jr., MD, who is a standing member of the NCI's CTAC.